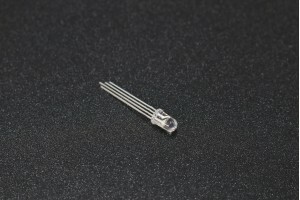 The Raindrop Detection Sensor module is an easy-to-use and low-cost drop recognition sensor. The sensor works through a series of exposed parallel traces on board which produces electrical variations when drops or water volume changes. By using microcontrollers or ADC ICs (Arduino and PIC) it's fairly easy to convert the analog output from the sensor to digital values. This can be directly read by an Arduino or a comparator circuit if you wish to use it as a rain detection alarm. It can be used to monitor a variety of weather conditions. · Comparator output signal is clean, And can source up to 15mA. · DO: TTL switching signal output.